Catch a sneak peek of Strauss Fest on this week's Saturday Night At The Opera. Hear two of his lesser-known works, Feuersnot and Friedenstag. 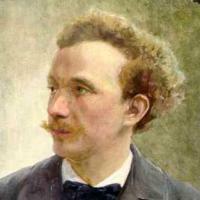 While each one is slightly too short as standalone works, they are spectacular examples of Strauss's evolution as a composer. Friedenstag features Gundula Janowitz and John Shirley-Quick in the treacherous lead roles (Erich Leinsdorf conducts the Berlin Radio Symphony Orchestra), while Deborah Voigt and Albert Dohmen sing in Friedenstag (with Giuseppe Sinopoli conducting the Staatskapelle Dresden). Stepan Atamian hosts.